Not to be confused with Tyler Hicks. His energetic stage performances and influences derived from classic rock, blues, and R&B music had earned him a following of devout fans, who have been dubbed the "Soul Patrol." He performed on Broadway in 2008 and on national tour in 2009 in Grease playing Teen Angel, the role originated by Alan Paul. The new CD, The Distance, was released March 10, 2009, with the first single, "What's Right Is Right", going to AC adds January 27, 2009. The second single was confirmed to be "Seven Mile Breakdown" via his Myspace page. In May 2011, Taylor Hicks opened ORE Drink and Dine restaurant in Birmingham, Alabama’s Crestline Park. Birmingham Magazine readers voted ORE as Birmingham’s “Best New Restaurant” in the fall of 2011. ORE Drink and Dine re-opened as Saw's Juke Joint, a barbecue and live music bar, on October 30, 2012. On June 14, 2011, Taylor Hicks performed at Bama Rising: A Benefit Concert For Alabama Tornado Recovery at the Birmingham Jefferson Convention Center. According to Billboard, the Bama Rising benefit concert raised an estimated $2.2 million for Alabama tornado relief efforts. On August 30, 2012, Taylor Hicks performed "Takin' It to the Streets" at the closing night of the 2012 Republican National Convention in Tampa, Florida. Hicks is the first Idol winner to secure a long-term residency in Las Vegas. He began his residency at Bally's Las Vegas in June 2012 and moved to a larger venue, Paris Las Vegas, in January 2013. 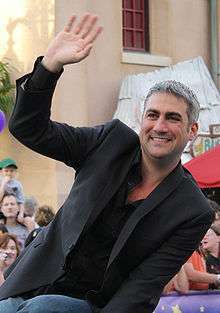 Taylor Hicks was born in Birmingham, Alabama on October 7, 1976, to Bradley Hicks and Pamela Dickinson. He and his family moved to the suburb of Hoover when he was eight years old. His hair started turning gray by the time he was 14. His parents divorced, and stepmother Linda shared custody of their son until he became of age. Hicks has suggested his difficult childhood as the reason for his turning to soul and blues music for solace. He has a younger half-brother, Sean, who later convinced him to audition for American Idol. He bought his first harmonica when he was 16, for $2 at a flea market in Bessemer, Alabama, and taught himself to play blues harp. He discovered that he possessed perfect pitch when he was able to recognize the pitches of ordinary noises and mimic them on the harmonica. Hicks was 18 when he wrote his first song, "In Your Time", and he taught himself to play electric guitar when he was 19. Hicks graduated from Hoover High School in 1995. He played varsity baseball, soccer, and basketball while studying in Hoover. He then pursued a major in business and journalism at Auburn University, but lost interest and dropped out after three years. "The Fall" is an acoustic ballad about a painful, failed relationship. While in college, Hicks was part of a band called Passing Through, which he later quit to start his own band. In 1997, he independently recorded In Your Time, an album which included both studio and live tracks. In 2000, he moved to pursue a music career in Nashville, Tennessee, where he worked with Nashville veterans Billy Earl McClelland and Percy Sledge to record a three-track demo but was unable to find a label that would sign him. He left Nashville after a year due to what he called the "oversaturation of the market". Hicks returned to Alabama and launched a professional music career, performing at various venues and parties mostly around the Southeastern United States, including The War Eagle Supper Club (a popular college bar) in Auburn, Alabama. Hicks has performed with the likes of Widespread Panic, James Brown, Tom Petty, Jackson Browne, Drive-By Truckers, Robert Randolph, Snoop Dogg and Keb Mo. He also performed in the huge infield of Talladega Superspeedway in 2004 during a NASCAR race weekend. He recorded, produced, and released a second album, Under the Radar, in 2005. Despite releasing two albums prior to appearing on American Idol, he did not violate their requirements for contestants, as he had never held a recording contract. Hicks has allowed audience members to record his concerts for personal, non-commercial use, and has authorized the Internet Archive to create a section for fans to upload and share their recordings. The Archive does not accept the upload of concerts recorded after January 1, 2006 due to the terms of his "American Idol" contract. Hicks auditioned for American Idol in Las Vegas, Nevada, on October 10, 2005. Hicks passed the audition with the approval of judges Randy Jackson and Paula Abdul, but not Simon Cowell, who said that Hicks would never make it to the final round. On Hicks's first performance for the voting public, Cowell called back to this quote, admitting he was wrong. On the May 10, 2006, results show, Hicks along with Katharine McPhee and Elliott Yamin, were announced as the Top 3 finalists. On May 12, Idol producers brought Hicks to Birmingham for a weekend of promotional events including television interviews for the local Fox affiliate, a downtown parade, concerts, and an audience with Governor Bob Riley. May 12 was proclaimed "Taylor Hicks Day" and Hicks was given the key to the city. Also on May 12, Gov. Riley issued a proclamation making May 16 "Taylor Hicks Day". Hicks was named the new American Idol on May 24, 2006, winning the title over McPhee, with over 63.4 million votes cast in total. The proclamation was aired to a worldwide audience of 200 million television viewers. With his win at age 29, Hicks became the oldest contestant to win American Idol. He was also the first male contestant to win the competition without ever being in the bottom two or three, as well as the first Caucasian male winner. In June 2006, Ford Motor Company, the show's major sponsor, signed Hicks to promote Ford's "Drive on Us" year-end sales event. He was also named Hottest Bachelor by People magazine for 2006, appearing on the magazine's cover. Current Billboard Top 10 "Play That Funky Music"
Top 4 Songs of Elvis Presley "Jailhouse Rock"
Idol's Choice "Dancing in the Dark"
Top 2 Finale "Living for the City"
Hicks played harmonica and guitar on every date of the American Idols LIVE! Tour. Hicks signed a recording contract with 19 Recordings Limited/Arista Records, managed by American Idol creator Simon Fuller, in May 2006. Hicks's debut single "Do I Make You Proud" debuted on the number one spot on the Billboard Hot 100 and was subsequently certified gold by the RIAA. Hicks made guest appearances in concerts by Snoop Dogg, Widespread Panic, and Willie Nelson, among others. Hicks also joined his fellow Top 10 Idol finalists on the American Idols LIVE! Tour which ran from July to September. The members of the former Taylor Hicks Band, formed by Hicks two years prior, regrouped as the Little Memphis Blues Orchestra and shadowed the Idols' tour route. Hicks occasionally appeared as a "special guest" when circumstances permitted, and was even accompanied at times by the other Idols, such as Elliott Yamin, Chris Daughtry, Ace Young, and Bucky Covington. In August 2006, Hicks's lawyers sued a producer with whom he worked in Nashville, for redistributing without permission songs that Hicks had copyrighted in 1997. The lawsuit was dropped when the masters were handed over to Hicks. In the same month, it was announced that Hicks received a $750,000 (USD) deal to write a memoir of his life. Titled Heart Full of Soul: An Inspirational Memoir About Finding Your Voice and Finding Your Way and ghostwritten by Rolling Stone writer David Wild, the book was released in July 2007 by Random House. On June 6, 2008, Hicks joined the cast of the Broadway musical Grease in the Brooks Atkinson Theatre. He played the role of "Teen Angel." Once his 18-month tour in the traveling Broadway show 'Grease' ended, Hicks performed in over 20 live shows. He has recently appeared on TV in Don't Forget the Lyrics and appeared on Celebrity Ghost Stories in December 2010. Studio recording sessions for the eponymous major label debut Taylor Hicks ran in Calabasas, California between October and November 2006, and took six weeks in total. The album was released on December 12, 2006 and debuted at the number two spot on the Billboard 200 charts. It was certified as a platinum album by the RIAA on January 17, 2007. Hicks embarked on a three-month US promotional tour for his album that started on February 21 in Jacksonville, Florida, and ended in Seattle, Washington on May 12. December 16, 2007, Hicks performed "Do I Make You Proud" live together with six Asian Idol finalists in Jakarta Indonesia. Hicks also performed on the American Idol (season 6) finale at the Kodak Theatre on May 23, 2007. In July 2007, Hicks released his autobiography, Heart Full of Soul: An Inspirational Memoir About Finding Your Voice and Finding Your Way. Despite winning American Idol 2006, Hicks's post-Idol career had its ups and downs. Arista Records confirmed in January 2008 that it had dropped Hicks from its roster. Hicks had, at that stage, the lowest selling American Idol winner's album. To all my fans and The Soul Patrol, I want to take a moment to talk about the recent news that my label and I have mutually parted ways. The important thing for all of you to remember is that I've been a working musician my whole life. This is turning the page on a new chapter of my career. Artistic freedom and control is an exciting prospect. The things that are most important to me is creating my art, performing it, and my fans. With the momentum that all of you have created over the years, Taylor Hicks is not going to stop anytime soon. I've started working on the new album, writing and scheduling exciting collaborations. The DVD, Whomp at the Warfield, is in its final stages, and will be released soon. So as one door closes, a new one opens for 2008 with more excitement for all my fans than ever before. Sit tight, because the best is yet to come! As of June 2008, Hicks has signed a distribution deal with Vanguard/Welk records to distribute a compilation album Early Works. He also starred in Grease in the national tour as the Teen Angel after playing the role on Broadway. Early Works was released on August 12, 2008. Hicks has also been part of the concert series that airs on HDNET. Hicks returned to the American Idol stage on April 29, 2009 during Season 8 and performed the second single from The Distance, "Seven Mile Breakdown", which was re-released in a country format. Both "What's Right is Right" and "Seven Mile Breakdown" were made into music videos. In May 2009, Taylor Hicks made Forbes' "Top Ten earning American Idol stars" list, coming in at number 10, with over $300,000 earned from album sales and from his role as "Teen Angel" in the national tour of Grease. On April 19, 2012, Hicks appeared on American Idol and announced he would begin a one-year residency at Bally's in Las Vegas on June 26 that has been extended until December 2013. Entertainment Weekly magazine revealed that Hicks would be a celebrity contestant on Fox dating show called The Choice. On August 30, 2012, Hicks performed for the 2012 Republican National Convention in Tampa, Florida. Hicks was the first male Idol to be featured on a Grammy winning album when he performed "Friday" on Jimmy Fallon's Blow Your Pants Off, which won for Best Comedy Album in 2013. In Fall 2016, Hicks plans to visit all 50 states in the INSP series State Plate, which will cover food, the people, and the culture of each state. Hicks's fanbase has been dubbed the "Soul Patrol". The phrase started among his Internet fanbase after the episode of Hicks's Idol auditions aired, but it is difficult to trace its exact origin. Hicks frequently mentioned the Soul Patrol after performances on Idol, which was best shown after winning the competition—Ryan Seacrest asked if he had any parting words and Hicks yelled, "Soul Patrol!" During a promotional event for Idol in Alabama, Hicks "inducted" Governor Bob Riley and his wife into the Soul Patrol. In addition to zealously following the musical career of Hicks and related artists, the Soul Patrol is also known for its charity work on behalf of various organizations such as Studio By The Tracks, Kid One Transport, Habitat for Humanity, and American Red Cross, among others. Hicks became the subject of two Weekend Update skits on NBC's Saturday Night Live on April 15 and May 20, 2006, portrayed by cast member Jason Sudeikis. In a reference to Hicks's quirkiness and disposition, Sudeikis mocked playing Hicks's trademark harmonica and repeatedly shouted out "Soul Patrol!" Hicks, when interviewed by Ryan Seacrest on the subsequent episode of American Idol on April 18, 2006, as to whether or not he saw the impression, admitted that he had and that the impression made him "fall out on the floor" with laughter. "Weird Al" Yankovic parodied Hicks on his 2006 album, Straight Outta Lynwood, on a track called "Do I Creep You Out", which is set against the melody of "Do I Make You Proud". In the music video of the song, an animated Yankovic, dressed as Hicks, is portrayed as the stalker. The video can be seen on JibJab. Hicks is also known to perform Yankovic's version during soundchecks. Talk show host Jay Leno frequently refers to Hicks as "his son" due to their striking gray-haired resemblance. Seacrest has also mentioned on American Idol that Hicks resembles Leno, Phil Donahue and George Clooney. Stephen Colbert, host of The Colbert Report, promised to give political pundit Bill O'Reilly a copy of "Do I Make You Proud" upon O'Reilly's appearance on the show on January 18, 2007. On the television sitcom The New Adventures of Old Christine, in the episode titled "The Real Thing", Christine, played by Julia Louis-Dreyfus, mentions that she has an imaginary relationship with Taylor Hicks. On April 1, 2011, Hicks made a surprise appearance on Late Night with Jimmy Fallon during a cover of Rebecca Black's "Friday," which was being parodied by Stephen Colbert. Jimmy Fallon hinted at his upcoming appearance by wearing a sweater with the label 'Soul Patrol' when appearing on stage. In July 2013, Hicks attended the Evolution 2013 fighting game tournament as a competitor for Super Smash Bros. Melee. Hicks finished tied for 257th overall out of 709 players. On November 6, 2013 Hicks, Clay Aiken and Ashanti appeared on the episode Law & Order: Special Victims Unit, "Dissonant Voices," portraying singing judges on a fictional television show called American Diva. In 2015, Hicks attended as a dining room guest in the Season 14 episode of Hell's Kitchen. For more details on this topic, see Taylor Hicks discography. 1 2 3 "Taylor Hicks Bio". Biography.com. Retrieved 17 December 2012. ↑ The Broadway League. "Grease | IBDB: The official source for Broadway Information". IBDB. Retrieved 2010-02-20. ↑ Cohen, Johnathan (21 January 2009). "Taylor Hicks Resurfaces With New Album". Billboard. Retrieved 17 December 2012. ↑ Whitley, Carla Jean (2011-10-06). "A Star is Born". Birmingham magazine. Retrieved 2012-01-08. ↑ Carlton, Bob (30 October 2012). "Taylor Hicks partners with Saw's BBQ founder to open Saw's Juke Joint in former Ore location". Birmingham News. Retrieved 20 November 2012. ↑ Waddell, Ray (2011-06-15). "Alabama, Brad Paisley, Sheryl Crow Help Bama Rising Raise Over $2 Million For Tornado Benefit". Billboard. Retrieved 2012-01-08. 1 2 Naught But Nice, Rob (2012-08-31). "Taylor Hicks On Performing at RNC, Taking Risks". Huffington Post. Retrieved 20 November 2012. ↑ Halperin, Shirley (2013-01-16). "'American Idol' Taylor Hicks to Take the 'Paris' Stage". The Hollywood Reporter. Retrieved 2013-02-15. ↑ "BACKSTAGE PASS: From Alabama's bars to America's 'Idol'". Niagara Gazette. August 30, 2007. Retrieved February 28, 2009. 1 2 "Taylor Hicks Bio". Gray Charles: The Official Taylor Hicks Weblog. Retrieved 2006-11-23. ↑ Hunter, Desiree (2006-05-10). "'Idol' Standout Hicks Likes Music With Soul". Associated Press. Retrieved 2006-05-25. ↑ Graff, Gary (2006-08-11). "Unlikely 'idol' content with his prospects". New York Times Syndicate. Retrieved 2006-08-12. ↑ Brantley, Mike (2006-02-21). "Alabama Idol". Mobile, Alabama Press Register. Retrieved 2006-05-26. ↑ Finebaum, Paul (2006-04-10). "Local American Idol contestant still keeping up with his passion for statewide sports". Alexander City Outlook. Archived from the original on April 24, 2006. Retrieved 2006-05-25. ↑ Trachtenberg, Robert (2006-06-26). "Bachelor No. 1: Taylor Hicks Lets Loose". People. pp. 68–77. ↑ Newsome, Melba (2006-12-10). "Overnight Star? Well, It's Been a Long Night". The New York Times. Retrieved 2006-12-11. ↑ Colurso, Mary (2006-03-28). "Taylor-Made Trivia". The Birmingham News. Retrieved 2006-12-06. ↑ Simmons, Darryn (2006-03-07). "Fans of Taylor Hicks hope Birmingham native grabs 'Idol' title". Montgomery Advertiser. Archived from the original on 2006-05-22. Retrieved 2006-07-30. ↑ "WBHM Interview with Taylor Hicks". Retrieved 2007-01-13. ↑ Wackerlin, Jeff (2006-05-24). "Idol Winner Has NASCAR Ties". Racing One. Retrieved 2007-01-14. ↑ "Official Taylor Hicks Website". Taylorhicks.com. Retrieved 2007-01-13. ↑ "Taylor Hicks collection at the Internet Archive's live music archive". Retrieved 2007-01-13. ↑ Brantley, Mike (2006-05-23). "Taylor Hicks' 'Soul Patrol' goes global". Mobile, Alabama Press Register. Retrieved 2006-05-25. ↑ "American Idol and Taylor Hicks come to Hoover!" (Press release). City of Hoover, Alabama. 2006-05-15. Retrieved 2007-01-13. ↑ "Proclamation of Taylor Hicks Day" (PDF) (Press release). City of Birmingham, Alabama. 2006-05-12. Archived from the original (PDF) on 2006-06-18. Retrieved 2007-01-13. ↑ "Proclamation of Taylor Hicks Day" (Press release). State of Alabama. 2006-05-12. Retrieved 2007-01-13. ↑ Hart, Mary (reporter) (2006-05-25). Entertainment Tonight (TV series). ↑ "Ford signs American Idol winner Taylor Hicks to star in national advertising" (Press release). Ford Motor Company and he ended up getting his very own Ford Mustang convertible off of this. 2006-06-14. Retrieved 2007-01-13. ↑ "'American Idol' Winner Taylor Hicks Is The Most Eligible Bachelor". World Entertainment News Network. 2006-06-15. Retrieved 2006-07-22. ↑ Morningstar, Mary (12 January 2007). "'American Idol' Taylor Hicks Releases Major Label Debut". VOA News. Voice of America. Archived from the original on December 2, 2008. Retrieved January 1, 2009. ↑ "2006 American Idol Taylor Hicks Signs With 19 Recordings Limited/Arista Records" (Press release). Arista Records. 2006-05-31. Retrieved 2007-01-13. ↑ "Deep in the bowels of J Records". Gray Charles: The Official Taylor Hicks Weblog. 2006-09-29. Retrieved 2006-12-21. ↑ Newsome, Melba. "Overnight Star?". ↑ Colurso, Mary (2006-08-06). "Taylor Comes Home". The Birmingham News. Retrieved 2006-12-22. ↑ Harris, Chris (2006-08-26). "Taylor Hicks Files Suit To Halt Digital Release Of Early Recordings". Country Music Television. Retrieved 2006-11-01. ↑ Silverman, Stephen M. (2006-08-04). "Taylor Hicks Prepares Memoir, Billboard". People. Retrieved 2007-01-13. ↑ "Taylor Hicks Joins 'Grease' as 'Teen Angel'". Broadway World. 2006-08-26. Retrieved 2006-11-01. ↑ Paul and Young Ron (2006-11-21). "Interview on the Paul and Young Ron Show" (Podcast). Retrieved 2006-11-22. ↑ Cohen, Jonathan (2006-12-27). "Taylor Hicks Unveils 2007 Tour Plans". Billboard. Retrieved 2006-12-28. ↑ "American Idol Champ Taylor Hicks's Self Titled Debut Album is Certified Platinum by the RIAA" (Press release). Arista Records. 2007-01-17. Retrieved 2007-01-18. Hicks is the only artist to win American Idol that has not had an album reach one million sales. ↑ Kilgore, Kim (2006-12-12). "Taylor Hicks Rolls out Album, Tour Dates". Live Daily. Archived from the original on 2007-01-04. Retrieved 2006-12-22. ↑ "'Idol' winner Taylor Hicks loses record deal - today > entertainment - Music - TODAY.com". MSNBC. 2008-01-07. Retrieved 2014-07-12. ↑ Baldwin, Kristen (2008-01-03). "Taylor Hicks, Ruben Studdard dropped from J Records? | Inside TV | EW.com". Hollywoodinsider.ew.com. Retrieved 2014-07-12. 1 2 "Taylor Hicks | Listen and Stream Free Music, Albums, New Releases, Photos, Videos". Myspace.com. Retrieved 2014-07-12. ↑ "Taylor Hicks Signs On for National Tour of Grease". Broadway.com. Retrieved 2010-02-20. ↑ "Hicks Finds Niche". NYPOST.com. 2008-06-20. Retrieved 2010-02-20. ↑ "Early Works: Taylor Hicks: Music". Amazon.com. Retrieved 2010-02-20. ↑ "Forbes: Which American Idol stars rake in the most loot?". New York: Nydailynews.com. 2009-05-26. Retrieved 2010-02-20. ↑ "Birmingham's Taylor Hicks ready for yearlong run at Bally's in Las Vegas". 2012-09-27. Retrieved 2012-10-13. ↑ "Fox's 'The Choice' cast revealed!". 2012-05-08. Retrieved 2012-10-13. ↑ "'American Idol' Taylor Hicks Collects Grammy Award". The Hollywood Reporter. ↑ Elavsky, Cindy (2016-06-30). "Celebrity Extra". Naples Florida Weekly. King Features. Retrieved 2016-07-07. ↑ Gowers, Bruce et al. (directors) (2006-05-24). American Idol (TV-Series). United States: Fremantle Media. ↑ Brantley, Mike (2006-05-13). "'American Idol' star Taylor Hicks dazzles fans on visit home, adds Gov. Riley to Soul Patrol". Mobile, Alabama Press Register. Retrieved 2006-05-25. ↑ "Impressions by Jason Sudeikis". SNL Archives. Retrieved 2006-12-22. 1 2 Gowers, Bruce et al. (directors) (2006-04-18). American Idol (TV-Series). United States: Fremantle Media. ↑ "Video Parody of American Idol Winner" (Press release). JibJab. 2006-11-16. Archived from the original on May 28, 2007. Retrieved 2006-12-22. ↑ "Colbert Gifts "Do I Make You Proud"". Gray Charles. Retrieved 2007-04-14. ↑ Lizer, Kari (creator) (2007-04-09). The New Adventures of Old Christine (TV-Series). United States: Warner Bros. Television. ↑ "Twitter / sethkillian: Congrats to KDZ on Injustice". Twitter.com. 2013-07-14. Retrieved 2014-07-12. ↑ Makuch, Eddie (July 16, 2013). "American Idol winner places 257th at EVO Smash Bros. event". GameSpot. Retrieved July 3, 2015. ↑ Grey, Jonathan 'Catalyst' (July 15, 2013). "American Idol winner Taylor Hicks attended EVO 2013, tied for 257th place in Super Smash Bros. Melee". EventHubs.com. Retrieved July 3, 2015. 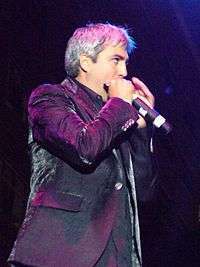 Wikimedia Commons has media related to Taylor Hicks.